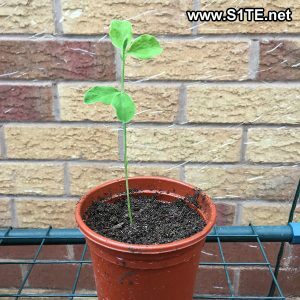 Growing Sweet Peas from Seed Guide How To Guide & Tips? 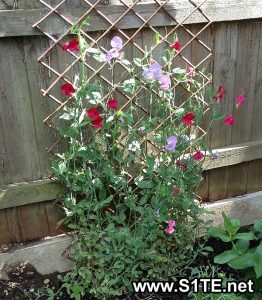 / All Articles / Growing Sweet Peas from Seed Guide How To Guide & Tips? Firstly mix some of the multipurpose seed / cutting compost into the seed tray and moisten. This will give the sweet pea seeds a nice bed to start to germinate from. Simply push the pea like seeds into the compost and wet again. Keep the seeds between 10 and 20 degrees for ideal germination, a warm sunny windowsill is ideal for sweet pea seeds to germinate. Once they are starting to show their first true leaves then your new sweetpea plants are ready to pot on. How to harvest Sweet Pea Seeds / Save Sweet Peas Plant Seed ? Growing Sweet Peppers in Containers or Pots / How To Guide & Tips? Growing Lupins from Seed Guide How To Guide & Tips? Growing Begonias from Seed Helpful Guide & How to Tips? Growing French Marigold Plants from Seed / How To Guide & Tips?